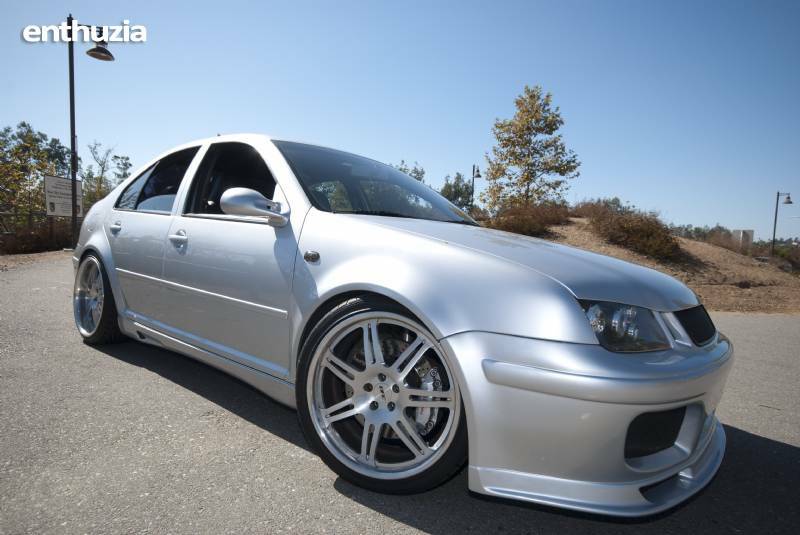 Nicest MK4 Jetta for Sale in the USA!!! This car was featured in the July 2005 Euro Tuner Magazine more information available on VF engineering s website. This car is also an award winning show car with several top prizes. 2003, Jetta GLI, 24v, VR6, 280 WHP, VF Eng. Stg. II Vortec Super Charged front mount intercooled, 6 Speed with 39,865 org. Miles. No expense spared while making this car. Too much too list!! Brembo, KW, Recaro, VF Engineering, Hofele, Caractre, Neuspeed, Toyo, DPE, Zapco, Kenwood, Eclipse, Focal, Momo, Schroth, Depo, Custom Body and Paint by Wet Works Garage, Custom interior including suede headliner and $15000 worth of Audio/video by Street Noyz ,again no expense spared. Serious Inquires Only, No trades Please! Just passed smog good for 60 days $14,995. A- pillar suede is fading I have more material. Some curb rash on rear wheel ($80 to fix perfect). Car is exremeley low so sometimes you will hear the tires rub in front.